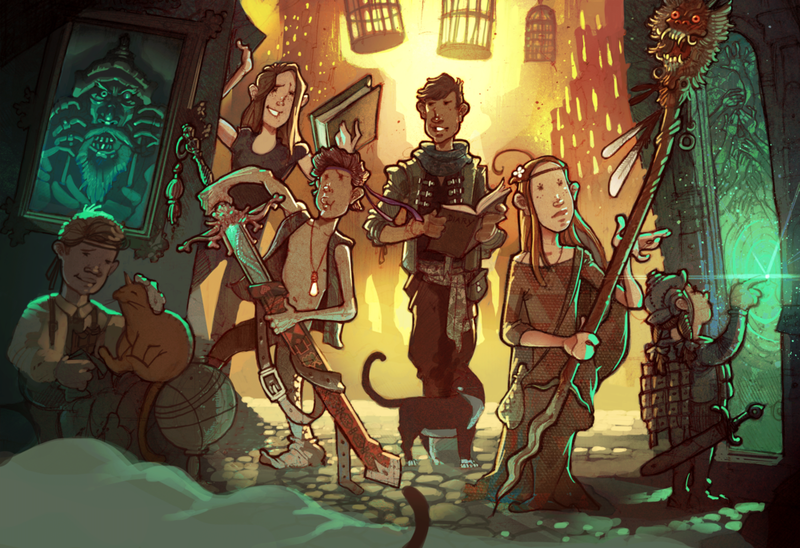 A bunch of Kids stumble upon the treasure dungeon of a powerful Mongolian Warlord. In my world Joy, humor and also darkness and a bit of strange wicked things happen within the same spaces. Elements within the illustration hint of many small stories wanting to be told.